Starting a new business is challenging and stressful and a big step. Print Studio is here to help. From free advice and consultation, we have helped many people get their start. We are a small business and understand you and we want you to succeed. We will help with your start up any way we can. 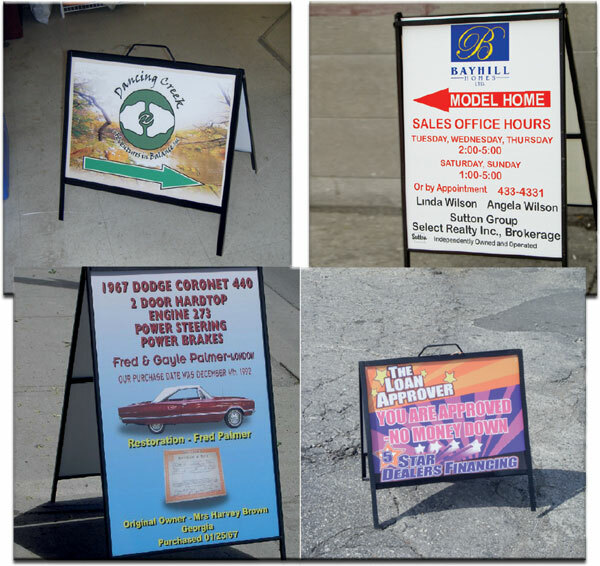 From business cards, flyers, brochures, store front signage, we are there for one stop shopping. Print Studio provides a bulk discount when setting up a new business. Your success is part of our success. We want you to be a customer for life. Restaurants rely on an image of quality and professionalism. 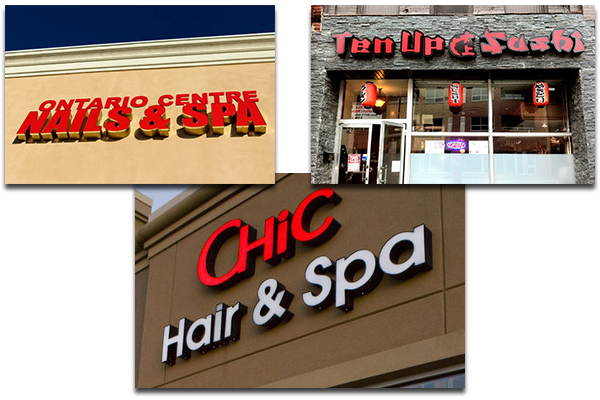 Signage can help or hurt your business. The biggest challenge will be the ability to change your menu. This has been an ongoing concern. We will work within your budget and your existing signage to ensure you have a quality look. Your pricing and selections will change, plan for it. 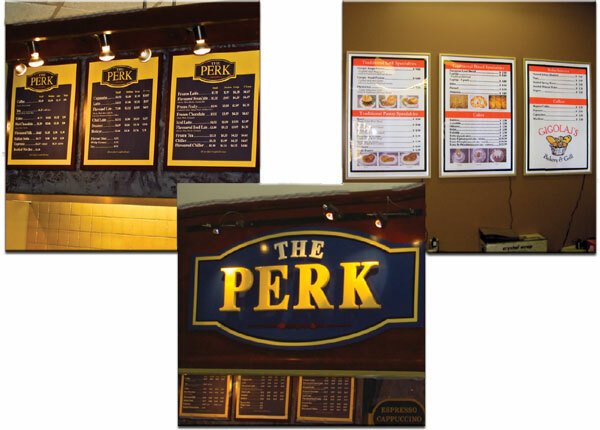 It is better to get a new menu to generate sales than to look unprofessional and save the cost of the sign. Helpful Hint: Have your menu proofed by: friends, family, and customers before you print large units. Capitalize on the traffic in front of your location. You can also use the A-frames for directions, sales, your specialty, special products. 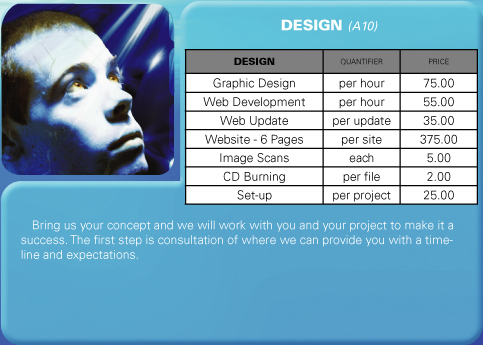 We will assist you in design and can provide suggestions. There are no permits required for A-Frames that are within the size 24″ x 36″ area. Helpful Hint: Put graphics on the other side of the boards when you order. This gives the option to change your message by simply flipping the board. 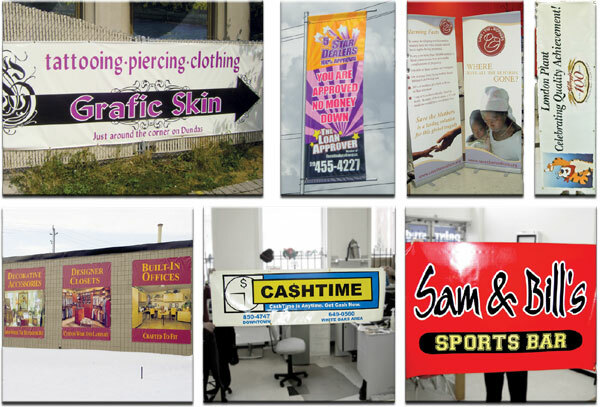 Banners are the most versatile and popular type of signage. We custom make all of the banners to your specifications. 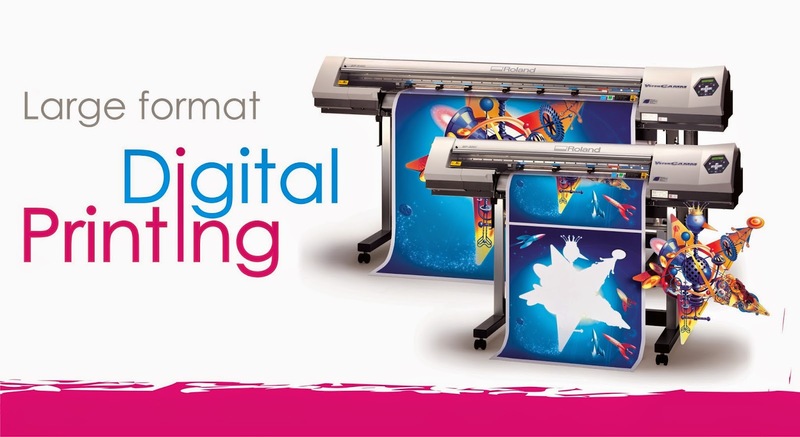 We can both: print digitally in full colour or apply single colours of vinyl. In regards to finishing, we can provide: grommets, pole pockets, double sided, roped, velcro, hemmed, just tell us your application and we’ll have the answer. We hem all of our banners to prevent fraying. Durable, light weight, easy to transport and inexpensive make banners a great choice for: markets, trade shows, retail sales, and temporary signage. Helpful Hint: Looking for a professional and portable solution, ask about our retractable banners and banner stands. Custom letters provide one of the most professional looks. We have our own CNC machine that can cut: acrylic, wood, komatex, aluminum, and ecopanel, as well as others. This allows for custom logos, letters and shapes, and of course, we install it. Let us know what you have in mind and we can help you with your: design, material, installation, and budget. Channel letters are also known as “internally illuminated can letters”. This description says it all in that each letter is generally lit from the inside with light shining through the plastic sign face or out the back of the letter (called a halo-lit). As is the case for most of the signs we offer, channel letters are custom made from metal and plastic, and are commonly illuminated with LED lighting. Channel letters may be installed directly to the building facia (each letter is mounted individually) or on a raceway. Your type of installation may be determined by the city ordinance or building owner’s sign criteria. We can help you get the results you’re looking for. Sand Blasted signs provide a classic look. 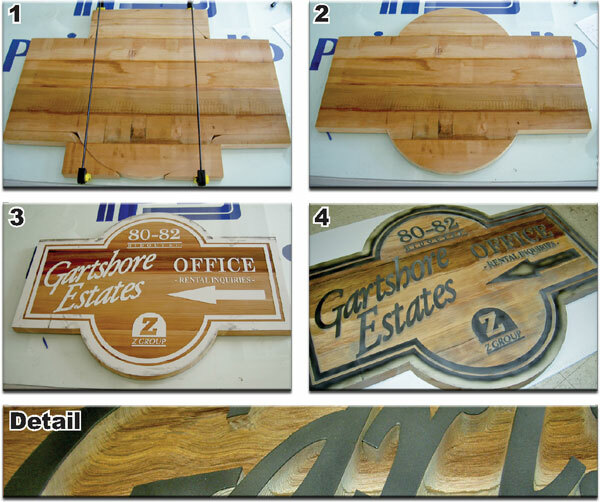 If you want to have a sign that is unique and classic, sand blasted is definitely an option. The emphasized grain of the cedar creates a texture and when painted and sealed, can last for decades. The classics are always a favourite. We provide a full suite of services for the real estate industry. 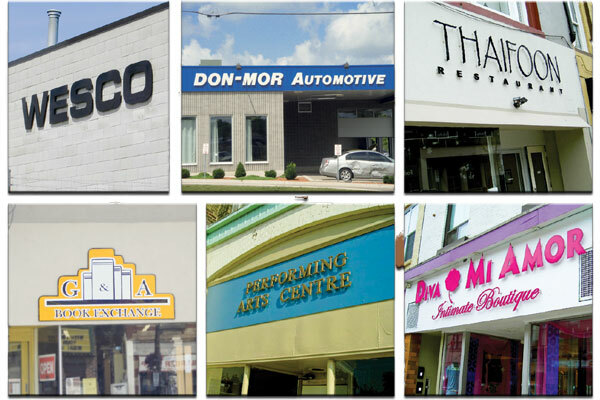 Subdivision signage, neighbourhood signage, bill boards and A-Frames are custom made and installed to your specifications. We can provide you with a single source of sup- ply with not only the signs, but all the services to install them. We understand that signage is critical and we pride ourselves on our speed and single source of supply (we do it all in-house) design, manufacture, and install. Print Studio has invested in a full service bucket truck with a trained installation team as well as state of the art software and hardware to layout and create your signage. This is a great advertising since you are with your vehicle and you drive anyways, so why not advertise on your vehicle. Digital print, window perforation, and cut vinyl are all done at Print Studio. 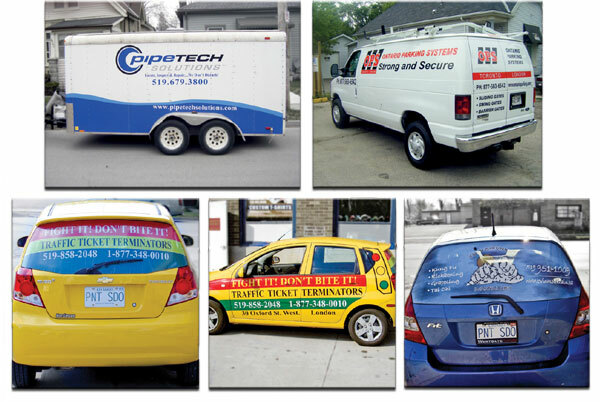 Vehicle graphics are good for at least 3 years with normal wear and tear. FAQ: What causes the most damage to my vehicle graphicsâ€¦ SNOW SCRAPERS. Car washes, wind, rain, snow, sun, are not as damaging as you think, they are considered wear and tear. If you are bringing in your vehicle, ensure that you have washed it first for best results. Helpful Hint: If you are leasing a vehicle and have to turn it in, consider only applying to the windows since this is the easiest surface to remove the graphics. It is usually 3-4 times the amount of time to remove old graphics than it was to initially install them off of the paint.